Copy and paste,https://navicamls.net/displays/?n=319&i=1707159&k=79KVNTH5K82U, for Waterfront Real Estate Sales in March 2018 in Northumberland and Lancaster Counties were fewer than they were for the same period of last year. I contribute this to the unusually cold weather we have had this year than the interest in Northern Neck waterfront property. It’s been a brutal winter. Here it is April and on Saturday they are calling for snow. Unbelievable! March waterfront properties sold from a high of $1,295,000 of $210,000 which will show you the diversities we have. Naturally square footage is a factor but others include water depth, and amenities. When you click on the above link showing you the results for Waterfront Real Estate Sales in March 2018 you will see at the top of the page an option to change the layout. This allows to to view the properties as a spreadsheet or even as results with pictures. All of the properties that closed in March sold for an amount lower than the listing price, some substantially. You will also see how long this properties were on the market. 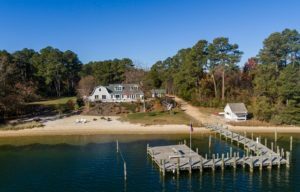 You might wonder why they were on the market for so long and if so please ask about the Northern Neck waterfront property by the MLS number and I can email you an listing history of that property. Keep searching for Northern Neck Real Estate and lets see if we can negotiate and below listing price for you. Warm weather is right around the corner and festivities like the strawberry festival in Heathsville always draw in crowd.